"Sleep paralysis plagues singer/songwriter Chelsea Wolfe, and that strange intersection of the conscious and the unconscious has inadvertently manifested itself within her work. Across the span of her first four albums, there is an underlying tension, a distorted and nebulous territory where dark shadows hover along the edges of the sublime and the graceful. But until now, Wolfe’s trials and tribulations with the boundaries between dreams and reality have only been a subconscious influence on her work. 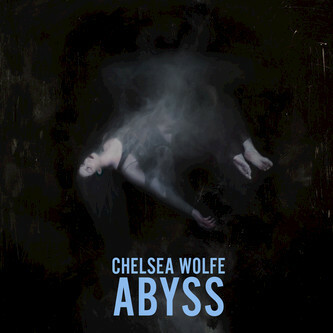 With her fifth album, Abyss, she deliberately confronts those boundaries and crafts a score to that realm she describes as the “hazy afterlife… an inverted thunderstorm… the dark backward… the abyss of time.” Chelsea Wolfe’s material has always felt intensely private, from the almost voyeuristic bedroom-production aesthetic of her debut album The Grime and the Glow to the stark themes and atmospheres of 2013’s Pain Is Beauty. 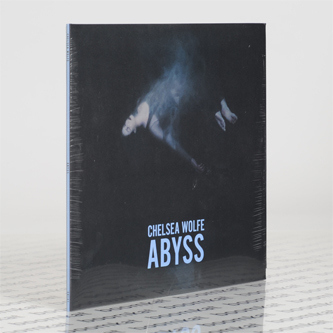 “Abyss is meant to have the feeling of when you’re dreaming, and you briefly wake up, but then fall back asleep into the same dream, diving quickly into your own subconscious,” says Wolfe. To conjure this in-between world, Wolfe continued her ongoing collaboration with multi-instrumentalist and co-writer Ben Chisholm and drummer Dylan Fujioka, with Ezra Buchla brought on board to play viola and Mike Sullivan (Russian Circles) enlisted to contribute guitar. The ensemble traveled to Dallas, TX to record with producer John Congleton (Swans, St. Vincent). In the back of her mind burned the words of designer Yohji Yamamoto: "Perfection is ugly. Somewhere in the things humans make, I want to see scars, failure, disorder, distortion.” The resulting eleven songs reflect that philosophy as they smoulder with human frailty, intimacy, quiet passion, anxiety, and deep longing. “Sleep and dream issues have followed me my whole life,” remarks Wolfe as she revisits notes from the writing and recording sessions. In a way, these issues have become a part of Chelsea Wolfe’s identity, for whom the notion of sleep as an escape has been subverted. 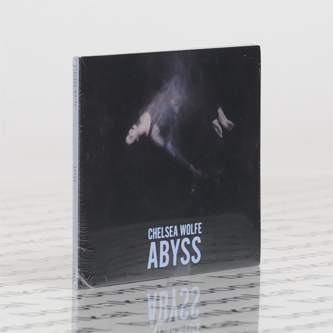 Abyss captures this dichotomy, this battle between the soothing and the upsetting, and demonstrates why Chelsea Wolfe has become one of the most intriguing songwriters of the decade."